Assured Performance is a non-profit consumer advocacy organization created specifically to assist consumers in identifying Certified collision repair providers that meet OEM requirements to properly and safely repair the next generation of vehicles using advanced materials and technology. Our mission is to ensure that consumers can locate a Certified collision repair provider wherever they may need one while ensuring that these best-in-class body shops are able to effectively market and promote themselves to consumers. Our messaging educates consumers on their "Right to Choose" a Certified shop and the parts and processes used in vehicle repairs. In addition, Assured Performance provides various consumer and insurer-facing tools including over 10 free body shop locaters, public awareness campaigns (PSA), consumer advocacy sites, and local/national press releases. These efforts enable consumers to identify, locate, set appointments, and directly connect with Certified collision repair providers. Thank you for your interest in Assured Performance's mission for Consumer Awareness and our Shop Locators. Are you a shop that deserves to be recognized as a best in class collision repair center? If so, we would like to talk to you! Please complete the following form and a representative will contact you shortly. How to get my shop to appear on the Certified Shop Locators. 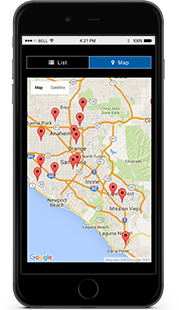 How to get my shop to appear on vehicle manufacturers' shop locators. 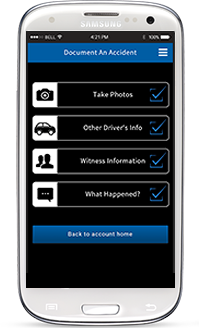 How the Accident & Collision Care Mobile App can help my business.